Edwin Wilbur Rice helped build General Electric into an international power through his technical and business expertise. His life was filled with direct experience working with North America's greatest electrical engineers. Currently there is a video documentary being made on his life. Click here to learn more about the video. Edwin W. Rice was born in La Crosse, Wisconsin, the son of Edwin Wilbur and Margaret Eliza (Williams) Rice. His father was a missionary. In 1862 his family moved to Philadelphia where, as a school boy in 1876, he came into contact with Professor Elihu Thomson, then a teacher in Boys' Central High School. His natural fondness for mechanics and later for electricity was quickly developed by this association and when, in 1880, the professor gave up teaching to go into electrical manufacturing as scientist and inventor, young Rice gladly accepted an opportunity to become his assistant. 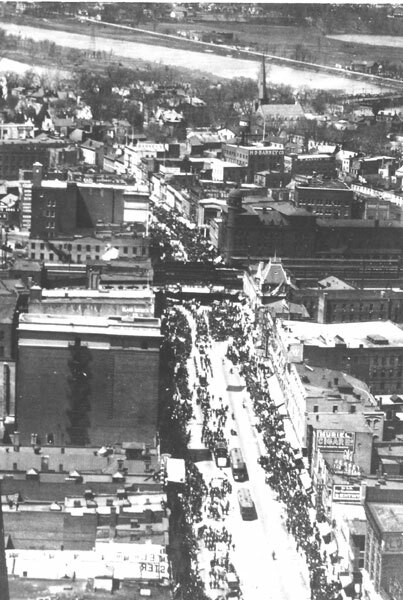 He went to New Britain, Connecticut and for three years was with Thomson in the American Electric Company there and in Philadelphia, engaged in the manufacture of arc lamps and dynamos. In 1883 he went with Thomson to Lynn, Massachusetts, upon the organization of the Thomson-Houston Company, when a majority interest of the American Electric Company was purchased by the former concern. At the age of twenty-two he was made plant superintendent and had this full responsibility until the consolidation of Thomson-Houston and Edison General Electric in 1892 to form the present General Electric Company. E.W. 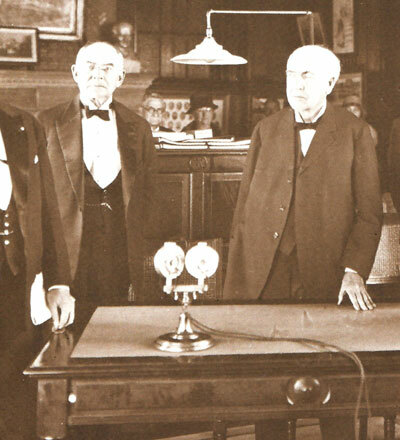 Rice, Jr. photo with some of GE's great engineers, on a visit from the great Lord Kelvin to Schenectady. In the new company Mr. Rice was first made technical director, and in 1896 vice president in charge of manufacturing and engineering. He eventually became senior vice president and in 1913 he succeeded Mr. Coffin as president of the Company. In 1922, after nine years of service in that office, he was succeeded by Gerard Swope and was made honorary chairman of the Board. He contributed much through organization methods, improved factory routine, technical development and engineering and scientific inventions to General Electric, having more than a hundred patents to his credit. Their range is so wide as to embrace practically the entire field of electrical operations because in his position he consulted with the entire engineering staff and assisted in every form of engineering development which was going forward over a long period. The salient inventive achievements of his career included: systems of distribution, particularly the cellular system of separating buses and circuits; synchronous converters, including as a fundamental development the application of such apparatus to the design of unified distribution networks; protective devices; arc lamps; incandescent lamps; oil switches of high capacity, which overcame a serious limiting factor in the development of electrical systems on an extensive and economical plan; regulating systems and apparatus; both alternating and direct-current generators and motors; train control systems; and transformers. He endorsed and promoted many modern forms of industrial organization and methods of advancing employees' welfare, and practically created the Company policy of employees' representation and the recognition of the shop workers' part in the success of the corporation. It was Mr. Rice and Dr. Steinmetz who, in 1900, recommended the creation of General Electric's Research Laboratory and who in 1893, engaged Dr. Charles P. Steinmetz, the mathematical genius, as a member of the Company's engineering staff. Mr. Rice's home after 1894 was in Schenectady where he was a trustee of Union College. He held A.B. and A.M. degrees from Central High School, Philadelphia; an honorary A.M. from Harvard, 1903; a D.Sc. from Union University, 1906; a D.Eng. from Rensselaer Polytechnic Institute, 1917; and a D.Sc. from the University of Pennsylvania. He was a Chevalier of the Legion of Honor. Mr. Rice was president of the American Institute of Electrical Engineers in 1917, from which organization he received in 1931 the Edison Medal "for his contributions to the development of electrical systems and his encouragement of scientific research in industry." He was a member of the Institution of Civil Engineers of England, of the English Institution of Electric Engineers and of the Society of Illuminating Engineers. He was a director of the General Electric Company, the International General Electric Company, Electric Bond and Share Company, British Thomson-Houston Company, Ltd., The Schenectady Trust Company, the Detroit Edison Company and for many years of the Radio Corporation of America. 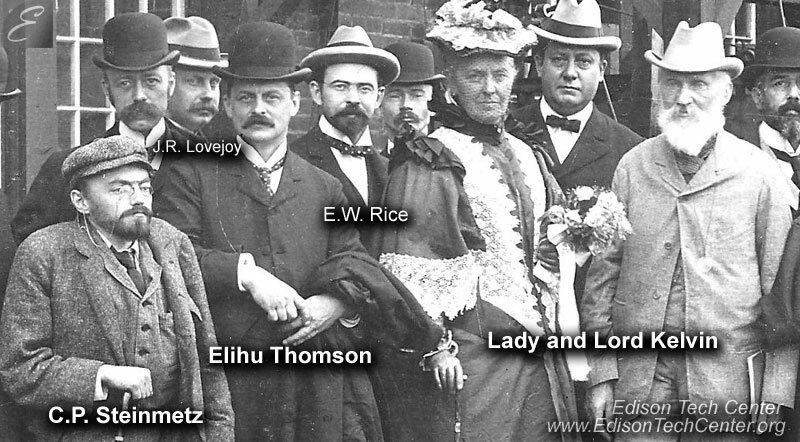 In 1884 Rice married Helen K. Doen, with whom he had three children. After Helen's death he married her sister, Alice M. Doen, in 1897. E.W. Rice at Osaka Lamp Company 1917. He visited Japan, China, Philippines, Hong Kong during the trip. E.W. Rice became a member of the Order of Rising Sun by the Emperor in 1917 for his work in promoting the development of technology in Japan. The Order of the Rising Sun is the second most prestigious award in Japan, few foreigners have ever had the honor of receiving it. 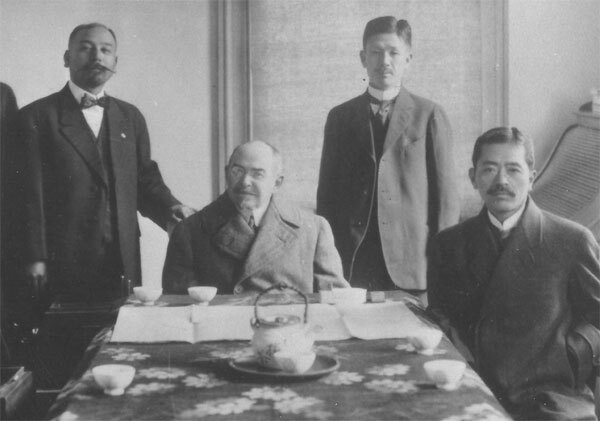 Rice visited the Tokio Electric Company, lamp companies, power plants, and became friends with Baron Mitsui. After Japan he visited GE lamp factory sites in Shanghai,China. In the Philippines and Hong Kong he visited small power plants and suggested improvements. E.W. Rice Purchased a 1901 Baker Electric Car. He used the vehicle occasionally. The car still runs today. Rice died in Schenectady, New York, 25 November 1935. Rice Road was named so in 1936 after E.W. Rice Junior. Rice road was moved for the building of I-890. A section of the road remains close to Rotterdam Square Mall. The Rock and plaque marking Rice road was removed. The plaque was saved and remains in storage.